god angrepssjakk og kommenterer partiet Jobava-Mamedyarov. Les og nyt! 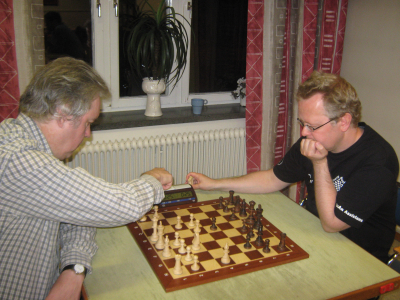 This weekend SG 1871 Löberitz staged the Löberitzer Chessdays. 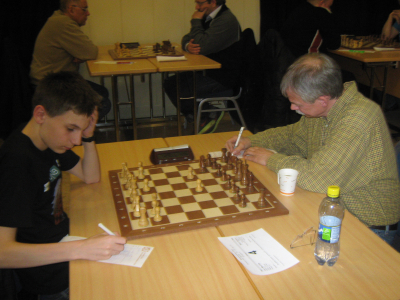 Wichmann with 8 points and Martin Brüdigam from Potsdam with 7,5 Points. Read more on the links below. 3,Per Vestin har 1 poeng mens Rickard Holmström har 0 poeng. 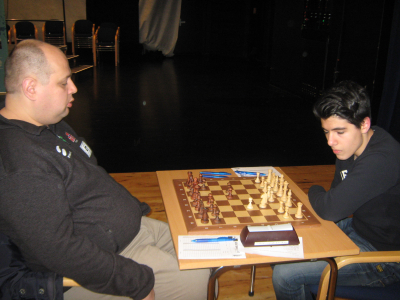 poeng.Den svenske GM Tiger Hillarp Persson ble nummer to med 5 poeng. ble numer 7. Stuvik Holm er neppe fornøyd da han tapte 17 elopoeng. 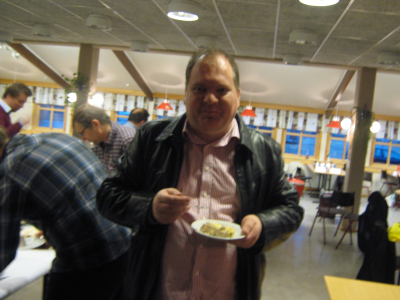 skriver i sin avslutningsberetning på sin blogg. 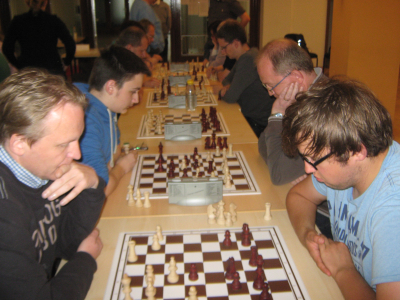 club Reti Zürich in the 5th round of the Swiss Nationallliga A yesterday. 6.September.Read more from yesterday`s round on the link below. 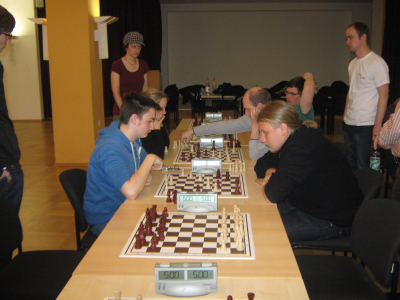 SG Leipzig played a good tournament and was second with 5,5 out of 7.
players participated in Chemnitz. Read more on the link below. 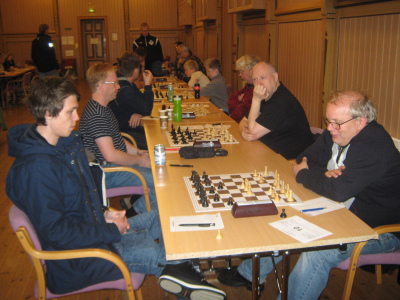 Her er løsningen på lørdagsnøtta.Lanka-Roisman:1.Dd7+! 1-0. 1.-Txd7 2.cxd7 og bonden blir dame. Stein Jensen og Harstad SK markerer seg under Festspillene i Harstad.